TanzaniaInvest had the pleasure to interview Thomas Samkyi, Managing Director of the recently established Tanzania Agricultural Development Bank (TaDB), a state-owned development finance institution (DFI) established to delivery short, medium and long- term credit facilities for development of agriculture in Tanzania. Mr. Samkyi discusses Tanzania’s agriculture potential and its socio-economic impact, and the opportunities available to partner with TADB. TanzaniaInvest: What was the rational behind the establishment of Tanzania Agriculture Development Bank (TADB)? 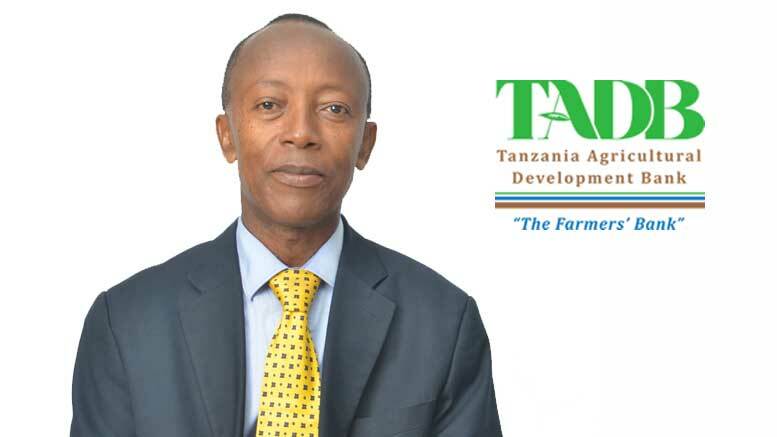 Thomas Samkyi: The Tanzania Agricultural Development Bank (TADB) was established by the government of Tanzania, specifically to assist the government in implementing its policies and strategies relating to the agricultural sector. In that regards, the bank has two main goals: to facilitate the attainment of food security and food self-sufficient in the country and to facilitate the transformation of Tanzania’s agriculture from smallholder’s subsistence production to commercial production. Smallholder farmers are poor because they don’t have access to finance and knowledge to produce commercial goods. TADB, as the farmer’s bank, aims to resolve the financing needs of rural poor agriculture producers, processors and marketers. But as a development bank, we are meant to facilitate farmers not only through finance, but also through knowledge, so we are expected to play that catalyst role. We also catalyse other players to bring effort together. At the moment, there are so many players in the agriculture sectors, everyone doing their things separately. Our approach is to partner with other entities that are assisting farmers. We have found out that most of these entities do not have the skills to lend money to those farmers and to manage credit. So we have experts in financing but need their backing to understand the farmer’s situation and the market structure. The idea is to combine efforts and re-forecast them, so that farmers can benefit from the intervention. We are going to coordinate these efforts, to get information from the players, identify their priorities, identify markets, identify financial needs and if there is any other shortfall, we finds out the best steps to address them. So we are in partnership with the likes of Southern Agricultural Growth Corridor of Tanzania (SAGCOT) and the Big Results Now (BRN) initiative with whom we will work together to assists smallholder farmers. But without a reliable market with a remunerate price, there cannot be a commercial production. So the approach is to study the interval change of a particular commodity, the cost of production, the added value needed. TI: Why is financing to farmers not commercially viable for private banks? TS: Tanzanian farmers are scattered in different locations of the country, therefore, lending transactions are costly. But agriculture is a key industry because it involves around 80% of Tanzania’s working population. We want the farmers to grow themselves without the intermediaries. We are looking for groups of farmers first, who own their own, individually, may not be able to access fund. On the basis of that, we need substantial amount of capital, so the target is that the government has to commit itself to provide capital up to 800 million shillings. TI: What kind of farming is the one that has the biggest potential to make commercial farming work? TS: At the moment, it varies from one area of the country to another, depending on the climate, logistics (like transport and marketing logistics) and also the markets themselves. But from the look of things, horticulture has a lot of potential: it is everywhere, it is high value production, but it requires knowledge, technology irrigation, and also most of the production is perishable, so we also make some suitable arrangements to manage the change. In the first five years, we target to have worked with farmers involved with maize, cashew, sugarcane, sunflower, fish farming, vegetables, spices and the likes, those are the priorities at the moment. TI: Do you think there is a way to make lending to agriculture commercial viable for private banks? TS: Definitely yes. We have looked at countries like India and Thailand and their agriculture financing and they have been doing well. For instance, India has a policy for lending to the agricultural sector, by which every commercial bank in the country is required to lend a certain percentage of funds to the agriculture sector. Today the largest lender to the agricultural sector in India is a privately owned bank. TI: How can organizations involved in agriculture in Tanzania partner with TADB? TS: There are two ways to partner with us. One way is to inject equity, because the establishment of TADB provides for minimum capital equity of 60%, so 40% of our share capital can be taken over by any entity that is development oriented. The other way is to lend to us on soft terms, because we cannot lend and borrow on commercial basis while being able to lend to smallholder farmers.